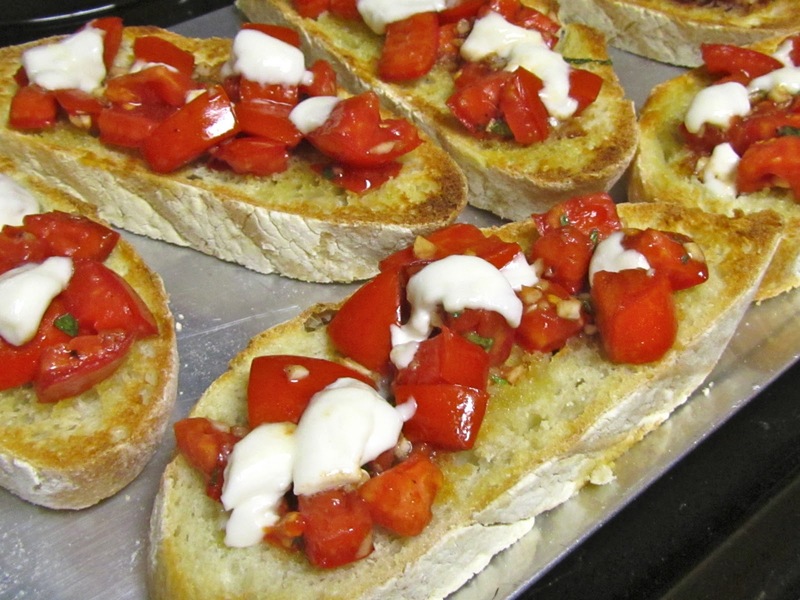 I love making bruschetta because it's easy, filling and I usually have everything to make it. It's nice when I don't really feel like cooking, but I have the energy to take a few minutes to whip this up. I recommend using fresh baked bread, from the bakery at the grocery store. I have several variations depending on what we have on hand, but it's usually a combination of tomatoes, olive oil, balsamic vinegar, salt, pepper, basil, garlic and some melted mozzarella cheese on top of toasted bread. At home, we always have fresh homegrown tomatoes in the backyard, but this year they ripened a little late. We just roasted a bunch of them and froze them for marinara sauces in the winter. 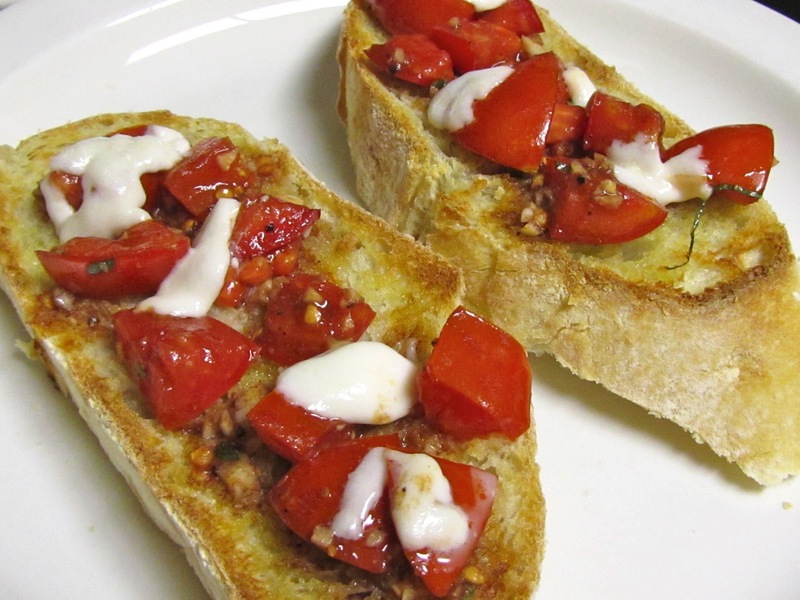 The trick to a crunchy bruschetta is to toast the bread before adding the tomato mixture to the top. I marinade the tomatoes in a mixture of half olive oil, half balsamic vinegar, and add some minced garlic to it. I finely chop some basil and throw that in as well. I slice the bread into 1/2 inch slices, and drizzle olive oil on it. Sometimes I get adventurous and use basil or garlic infused oil. The broil it until it's slightly golden brown. Top the bread with the tomato mixture, drizzling some of the liquid on top. Then thinly slice some fresh mozzarella to top with. Throw it back into the broiler, and remove when the cheese is melty. Then eat!